Every so often, you hear a news flash about some tainted food that is causing an outbreak of foodborne illness. One of the latest outbreaks occurred in the United States, where tainted peanut butter made its way into numerous peanut butter products. The result? Salmonella poisoning that affected a reported 486 people, including 6 who died and 107 who had to be hospitalized. The most common causes of foodborne illnesses are bacteria and contamination, which can affect food at any point in the course of food creation and preparation; this includes growing, processing, storing, delivering, and preparing food in the home. One of the single most common causes of foodborne illness is raw meat, particularly chicken. Salmonella – usually results from undercooked food products, including poultry and eggs, or from prepared foods that have not been refrigerated promptly. Symptoms of salmonella poisoning include fever, diarrhea, and abdominal cramps. E. coli – can be transmitted by eating contaminated or undercooked meat (i.e., ground beef), by eating fruits and vegetables that have been infected by cattle feces, or through drinking or swimming in water that has been infected by animal feces. Symptoms of e. coli illness include bloody diarrhea and abdominal cramps. Several weeks after initial symptoms, a condition known as Hemolytic Uremic Syndrome (HUS) can occur. Symptoms of HUS include anemia, severe bleeding and ultimately, kidney failure. Campylobacteria – is the most common cause of diarrhea, caused by eating undercooked or raw meat or through contact with the contaminated feces of a sick dog or cat. Symptoms include diarrhea, abdominal cramps, nausea, vomiting, and fever. • Refrigerate or freeze uncooked meat and poultry promptly; do not leave cooked food at room temperature for more than two hours. 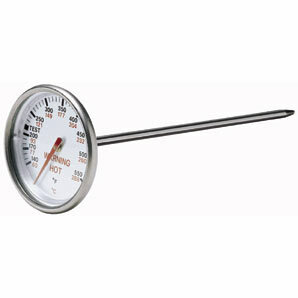 • Use a meat thermometer when preparing meat and poultry to prevent undercooking. • Never place cooked meat or poultry on the same plate that it was on before it was cooked. • Properly handle food – wash hands and all preparation surfaces, tools, and countertops thoroughly before and after food preparation. • Defrost foods in the refrigerator or in cold water. Never leave frozen food out on a kitchen surface to defrost. • Never marinate food at room temperature – refrigerate it. Foodborne bacteria will always be lurking in processing plants, food markets, cupboards, and refrigerators, but by observing some of our suggestions above, you can do your part in your home to keep your family’s food supply safe. Our second recommendation includes probiotic (pro life) supplementation. The lining of our intestines is layered with billions of bacteria, some of which are friendly, and as the list above suggests, some entering our bodies through our foods are not so friendly. Keeping a proper balance in the intestines is essential to good health. The good bacteria help to fend off the bad ones!! That’s one of the reasons why I recommend supplementation of probiotics. For further information about probiotics or to purchase probiotic supplementation, quality products (Seroyal/Genestra brand and Natural Factors) are available at our clinic. Will these prebiotic help prevent against or lessen the severity of contaminated foods?